Garmin Forerunner 201 Wrist Strap (010-10494-00) | Discount GPS Accessories from mysatnav.ie Ireland's leading GPS & Sat Nav store. This is a replacement green wrist strap for your Forerunner 201 GPS wrist strap. 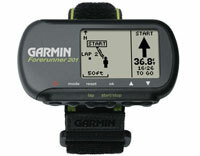 It is a hook-and loop fastener extension strap pack that comes as standard with the Forerunner 201 GPS. 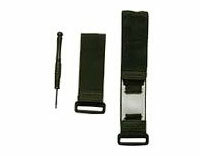 This kit includes one standard sized strap and one expansion strap.